While editing a long answer with a large block of text to quote, I held my mouse over the button for quoting, and noted that the shortcut to add quotes is Ctrl+Q. 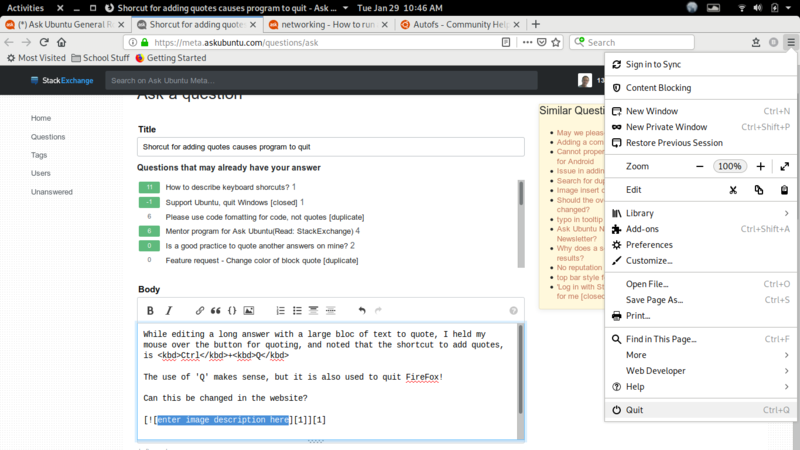 The use of 'Q' makes sense, but it is also used to quit at least FireFox and Vivaldi! Can this be changed in the website? 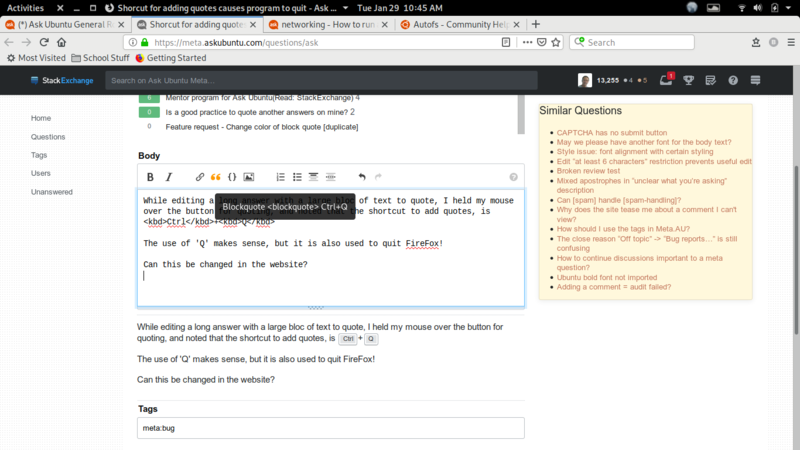 Browse other questions tagged bug editing .